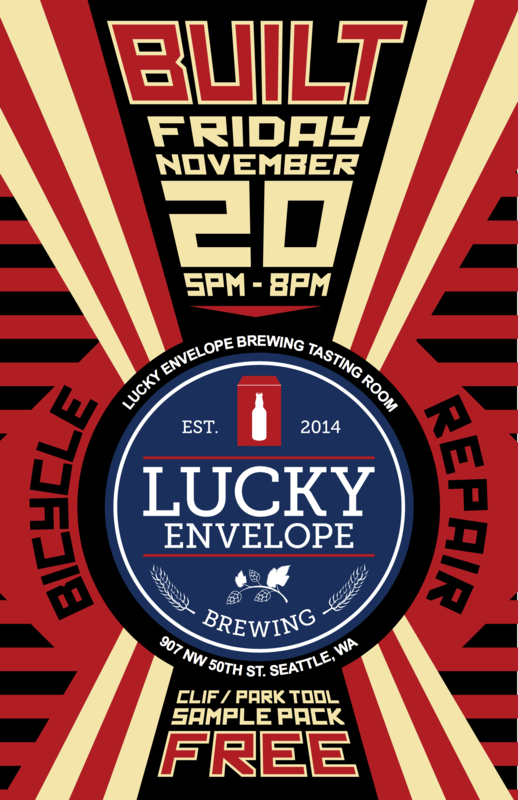 Join Bike Hugger at the Lucky Envelope Brewing tasting room, 907 NW 50th Street, Seattle, WA 98107, on Friday, November 20th. We will be hosting our second Built event. We will have a representative from FSA Full Speed Ahead Neutral Support to discuss bike repair and maintenance topics and to answer any questions you may have. We will also have an incredible SWAG bag for all attendees with samples from Clif Bar, Park Tool tire levers and a spare tube.